Last night I was on Countdown discussing Florida’s “stand your ground law” and the recent shooting case of the Trayvon Martin case. We discussed yesterday’s ruling in the the case of Greyston Garcia and the dangerous ambiguity created by these laws. The second-degree murder charges against Garcia were thrown out by a Florida judge under the Stand Your Ground law despite the fact that he did not just stand his ground, but ran after a man who tried to steal his car radio and proceeded to stab the unarmed man to death. As discussed previously, I have been a long critic of these laws and the earlier Castle Doctrine or “Make My Day” laws. These laws address a problem that does not exist. There are ample protections under the common law for individuals to use the privilege of self-defense, including reasonable mistaken self-defense. As I noted last night, I find it a bit maddening to hear Florida legislators now claim to have never anticipated abuses under these laws. Critics like myself have been vocal about the potential for abuse under these laws for years. Legislators have ignored those warnings because of the popularity of these laws. The problem with both “Make My Day laws” (applying to the home) and “Stand Your Ground laws” (applying in “other places”) is that they facilitate or enable those who are inclined to use lethal force. The Horn case out of Texas is such an example where, as with Zimmerman, Joe Horn ignored instructions not to confront the suspects. Even cases that bordering on executions have been found protected under such laws. 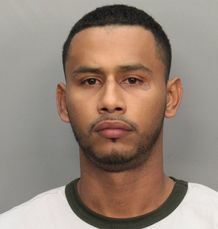 In the latest case, Garcia, 25, saw Pedro Roteta, 26, trying to steal the radio from his truck outside Garcia’s Miami apartment. He grabbed a large knife and chased the unarmed Roteta down the street and proceeded to stab him to death. This week, the state judge threw out the charges under the state’s “stand your ground” law. A person who is not engaged in an unlawful activity and who is attacked in any other place where he or she has a right to be has no duty to retreat and has the right to stand his or her ground and meet force with force, including deadly force if he or she reasonably believes it is necessary to do so to prevent death or great bodily harm to himself or herself or another or to prevent the commission of a forcible felony. The law reads like a stump speech where soundbites become elements of a criminal defense. Judges as in the Garcia case are left applying a standard of “meet[ing] force with force” and “stand[ing] his or her ground.” The result is soundbite justice — lacking depth or substance. John, Thank G-d you didn’t have a gun, you would have shot someone you allegedly saw breaking in to, not your home, but someone else’s>. Agree with it or not, it is not stand your ground against someone you say you saw breaking into someone else’s home. The house next door was being broken into this morning when I got out of bed. I called the cops, but it took so long for them to get there that I finally had to go out and do someting about it. No, I didnt have a gun or a knife, just a bat. The kid ran off as soon as he saw me coming around the corner. Long story short, I have kids, live in S Florida and live in a ” SECURE GATED COMMUNITY” if I had a gun, your damn straight I would have shot him. This isn’t a racist issue, and yes, it was a black male, 16-18. If the black community wants to keep screaming RACIST every time somone gets caught doing something wrong, then just maybe, they should take a long look in the mirror and ask why their kids are causing so much trouble and not doing the right thing. ( Not saying that all the crime is coming from the black community, I know it’s not, That’s just the group screaming the loudest.) It’s not racist to want to get rid of criminals, no matter what race they may be. I’ve been robbed twice in three years and both times it happened to be a black male( What do you think makes people racist now days ) We are not all inbreed gun happy renecks, but I have to admit that as the days go by I ‘m thinking that I need a gun to protect my family from stipidity. Islamic Cleric Instructs Men On How To Beat Their Wives "Out of Love"
Roughly 300 Years Later, Is Julian Assange The New John Peter Zenger?